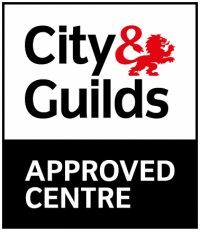 Bristone Electrical is a small company with an experienced team of electricians that are all fully qualified to City and Guilds Level 2&3, NVQ level 3 and hold City and Guilds Level 3 Inspection and Testing. All the staff are members of JIB/ECS and have current and up-to-date JIB GOLD cards. We are also CRB checked and vetted. All these qualifications can be verified via the ECS website. We provide an excellent professional service throughout the South East and London. We can offer you both residential and commercial services which cover new installations, repairs and upgrades. All the services that we offer are fully compliant with the current British Standards, Health & Safety and any other legal and regulatory requirements. We can offer you a free on-site quotation. Consultation and full CAD service. Our work is of a very high quality and workmanship, we can show any new customers any of our previous works via site visits or from our detailed portfolio. We are able to offer all types of electrical works, whether it is commercial or domestic. We can also offer Landlords a full range of testing and inspection services. We can offer you a very quick emergency service and can offer you solutions to your requirements and ensure that you receive the best value for money whilst fully meeting the latest IEE Regulations. If you are looking for an Electrical company that is offering you first class workmanship and value in your local area or throughout the London area then please get in touch and we would be more than happy to assist you in any of your electrical needs.